With all these Red Velvet goodies gracing our shelves anyone would think that Valentines Day is coming up, not Christmas. With my love of red velvet I am certainly not complaining and instead am embracing the red cocoa delights. 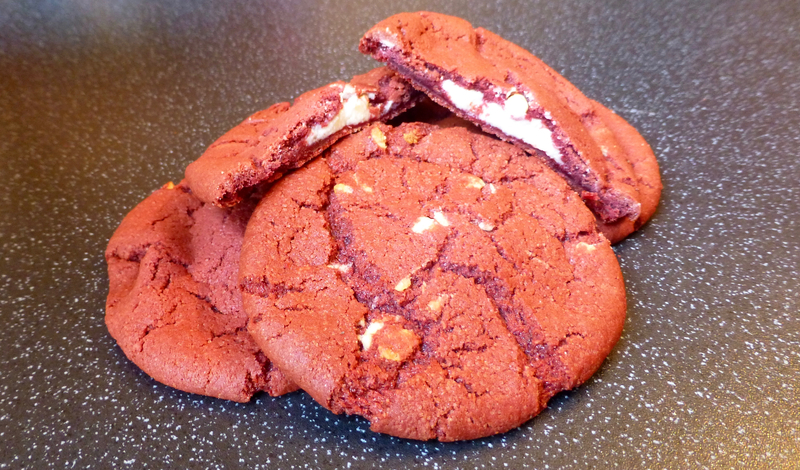 Today’s review is all about Tesco Red Velvet Cookies. 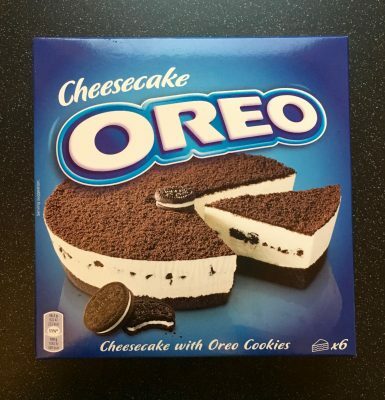 Tesco are the latest to serve up a variation on the red velvet and have opted for a cookie. For a rounded £1.00 it will give you 5 reasonably sized baked cookies and if you are feeling hungry then these are part of 2 for £1.50. These cookies certainly looked the part with their bright red appearance and just willed you to grab one and take a bite. The cookies were a little on the thin side which made the filling the dominant factor. The filling was in abundance and had a very sweet, slightly artificial white chocolate taste to it. The had been baked a tad to long which made for a very crisp crust and a snap in the cookie, rather than the promised soft bake. The cookie was too lacking in the depth of flavour that you expect from red velvet and this wasn’t aided with it having been over baked. The chocolate chips were a nice addition but I felt it should have been either filling or chips. 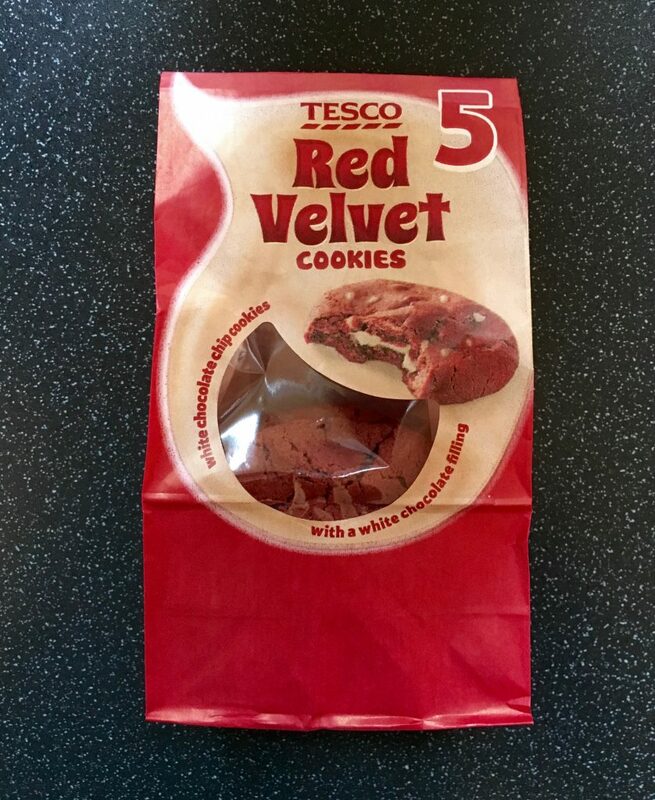 Sadly these Tesco Red Velvet Cookies won’t win any prizes. They were nice enough but incredibly sweet. There was not that depth of rich cocoa flavouring and instead was was overpowered by the icing. I question why Tesco have chosen white chocolate and not a tangier counterpart because even if the other aspects were bang on, these cannot be true red velvet. Now that’s a shame, Nibs. It’s a bit hit and miss with the in-store bakery type though, isn’t it.. I find that some days they are soft and chewy and other times crispy and over-cooked, which I too dislike. What a shame as they looked delightful! I totally agree with your review. 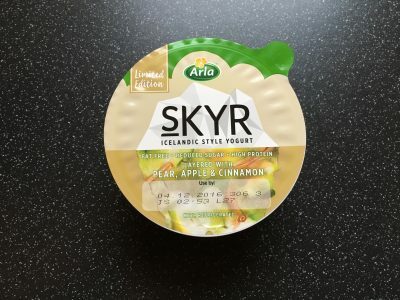 I was so excited to try these but they tasted nothing like red velvet – such a dissapointment! Glad I am not the only one. As far as cookies go it was alright but if you say red velvet you have to deliver and these just didn’t!